We specialize in bringing world-class talents to you at your home, hotel or condominium. Our highly-skilled massage therapists, highly-trained mobile yoga instructors, and exceptional mobile beauty stylists are ready to serve. Enjoy the luxury and privacy of receiving the very best service where you are most comfortable. 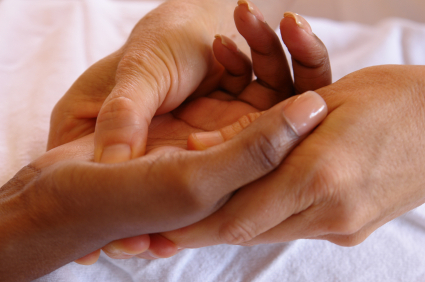 Visit our massage therapy services page for details about the massage modalities listed above. Private Yoga is recommended for anyone searching for a deeper practice, beginners who need a good foundation before going into a studio setting, and for people struggling with specific healing needs such as chronic injury or disease. Yoga in all of these methods is an effective way to guide people toward healing from within, offering a tool with thousands of years of study behind it for wellness. All levels welcome. Not your average tax deduction. Whether your goal is to show appreciation to donors, de-stress high performance athletes, nurture clients or reward employees, Full Circle specializes in adding that unique and special touch to your event. Let us help you create the perfect compliment to your conference, corporate party or sporting event.Then sit back and relax as Full Circle takes care of all the details to pamper and impress your special guests. Can you imagine enjoying an exquisite manicure and pedicure without the worry of ruining it before you ever make it to your car? Let Full Circle pamper you in the comfort of your home, hotel or event location with no stress, no worries, just relaxation and picture perfect nails! Or, plan a fabulous mani/pedi party with your favorite friends. Scratch another errand off your list and let one of Full Circle’s accomplished Aspen beauty stylists give you the perfect cut and style right where you are. Or, we’ll bring in a team to ensure that your whole family or wedding party is expertly styled to make your special event easy and unforgettable.